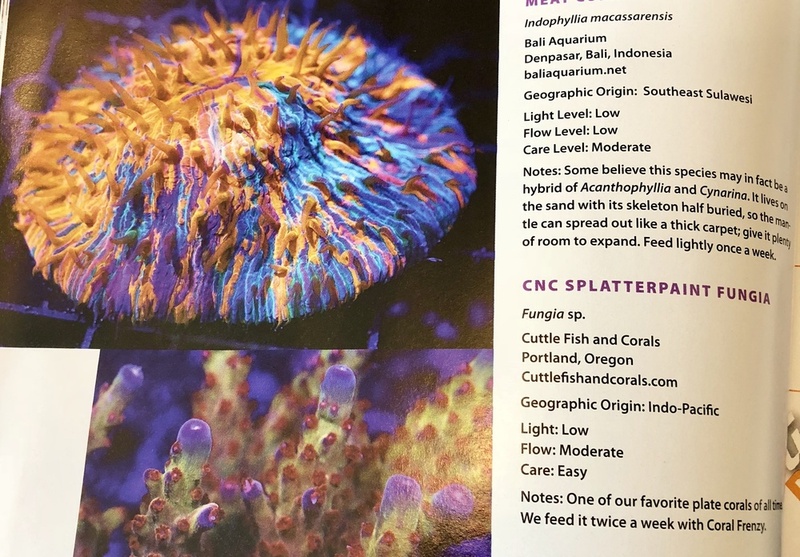 I just received the latest issue of Coral magazine and saw a picture of the gorgeous "CNC Splatterpaint Fungia". Congrats Jeff! It’s about time you got some national recognition ! Looks awesome. What's even crazier is that's not even the best plate/coral we've had! We are actually contributing editors now. Have some more corals that should get featured in the future as well! That’s so cool! I love all the pictures in the magazine. Were can one find a copy of this magazine? Great magazine with informative articles. They have also supported and sponsored our club for years. Do you know any where in a store that I can buy this issue. I'm gonna subscribe soon. No I haven’t seen any stores that carry them.